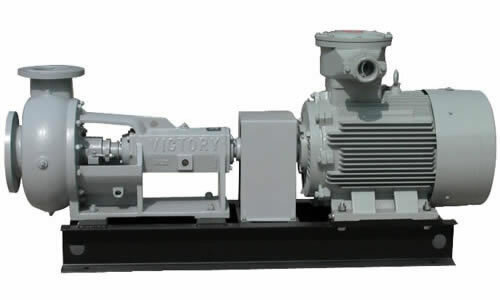 Our sand pumps, which are developed as supporting pumps, are manufactured on the basis of the characteristics of petroleum and natural gas drilling equipment. With axial-suction structures and flow-passing parts made by wear-resistant cast iron, the sand pumps can be used to deliver corrosive drilling liquid that contains suspended pellets and other similar liquids. These pumps are the best supporting pumps for sand removers, mud removers, mixing funnel, and the ideal pouring pumps for mud pumps. Rugao Yaou Company is a specialized sand pump manufacturer and supplier in China. We have been engaged in manufacturing and supplying solid control equipment, oil drilling tools, and rolling machines since 2004. With the features of being reliable, durable and economical, our products are in increasing popularity in Germany, America, Australia, Russia, among other countries and regions. We welcome oil drilling equipment manufacturers, purchasers, and agents to visit us!